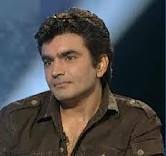 Bhojpuri Actor and Television actor Raja Chaudhary was arrested on Thursday night for creating ruckus outside Fortis hospital in Jaipur. According to an eyewitness, Raja was in an inebriated state when he was arrested by the local police. However, Raja claimed that he acted in self-defense. Apparently, this is not the first time when Raja has been arrested. In 2011, Raja committed several criminal offences. In January, he was arrested for assaulting his ex-wife and ‘Bigg Boss’ winner Shweta Tiwari. In February, a small-time actor Vivek Mishra filed a complaint against Raja for ‘intending to dishonour’ a fellow actor and wrongfully confining him in a flat. In April, Raja was again arrested in forgery and cheating case, when he allegedly obtained a SIM card using forged documents. He was presented in the court yesterday, after which he was released on bail. "Raja was allegedly drunk and causing nuisance on the road late at night," confirmed Vidyaprakash, in-charge Jawahar Circle police station. He was arrested under Section 151 of the Indian Penal Code. The 38 year old actor was later released on bail of `5000 by the court.